A bibliography of his works, many of which are very rare, is included in: レズリー・スティーヴン (1892). "Landor, Walter Savage". In Lee, Sidney. Dictionary of National Biography (in English). 32. London: Smith, Elder & Co. .
^ a b c d e Murray, Christopher John (2004). Encyclopedia of the Romantic Era, 1760-1850, Volume 2. Taylor & Francis. pp. 643-644. ^ Pinsky, Robert, on Landor, Poets on Poets, Carcanet Press , Manchester, 1997 9781857543391. ^ Wording in quote marks comes from Swinburne's 1882 Encyclopædia Britannica article. 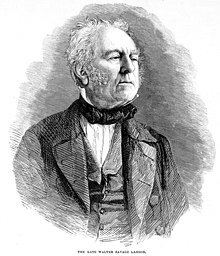 ^ a b c d e f g h i j k l m n o p q r s t u v "Landor, Walter Savage" . Dictionary of National Biography (in English). London: Smith, Elder & Co. 1885–1900. ^ John Sansom "Note for Brecon Beacons Park Society Archived 12 December 2007 at the Wayback Machine. 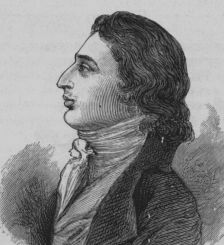 ^ “Review of Imaginary Conversations of Literary Men and Statesmen by Walter Savage Landor, 2 vols., 1824”. The Quarterly Review 30: 508–519. 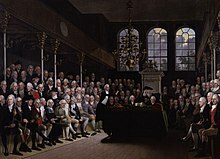 (January 1824). https://babel.hathitrust.org/cgi/pt?id=hvd.32044014221196;view=1up;seq=518. この記事にはアメリカ合衆国内で著作権が消滅した次の百科事典本文を含む: Chisholm, Hugh, ed. (1911). 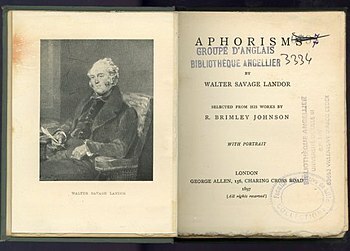 "Landor, Walter Savage" . Encyclopædia Britannica (in English). 16 (11th ed.). Cambridge University Press. pp. 161–162.